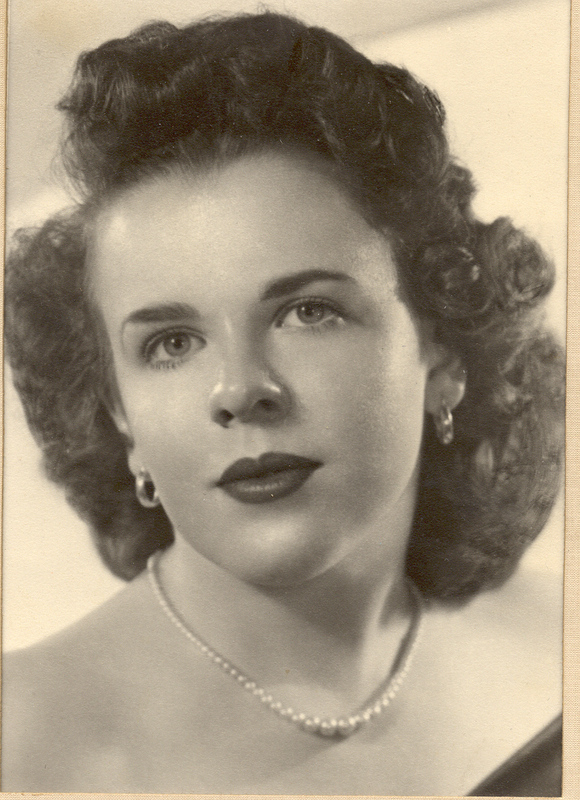 Betty May Oram Donaldson, 83, passed away peacefully surrounded by many dear friends on November 13, 2014. 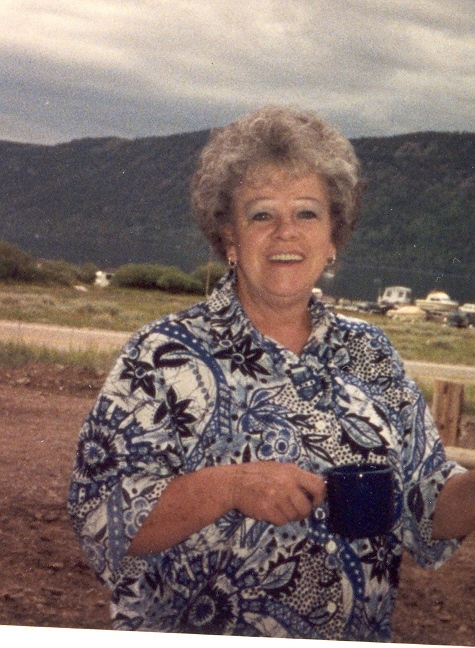 She was born November 5, 1931 to Gloyd Hyrum Oram and Rosabelle Grant Oram in Ogden, Utah. She attended schools in Honeyville and Ogden. She met and married David William Donaldson on April 12, 1953 (in Las Vegas) and their marriage was later solemnized in the Ogden LDS Temple (2008). They enjoyed traveling, camping and fishing. After 54 years together, David died in 2007. Betty loved her dogs, cooking, crocheting, listening to books on tape and visiting with friends and family. She worked as a medical record and lab technician. She was a member of the LDS Church Plain City 7th Ward. 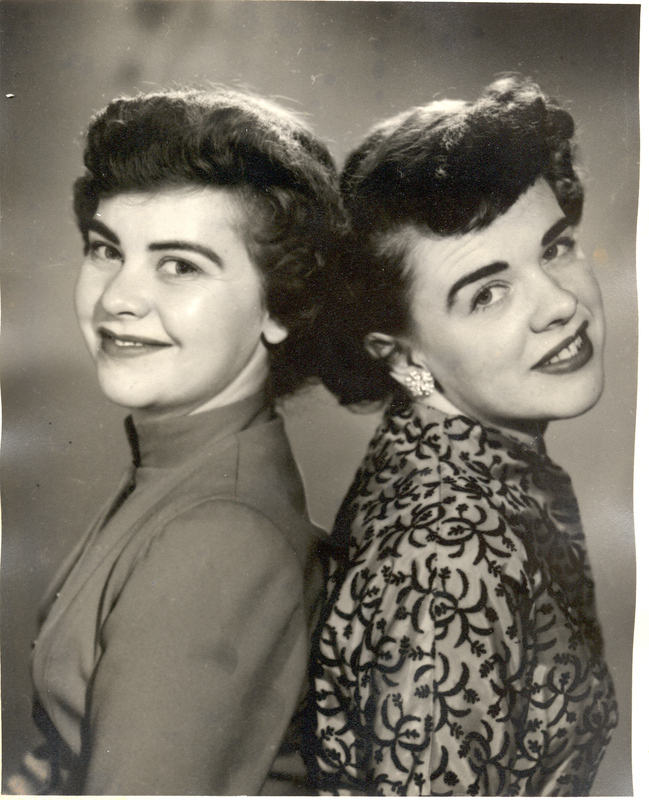 She is survived by her sister, Marilyn Keyes of Williamsburg, Virginia, many cousins, nieces and nephews and lots of friends. She will be missed very much. 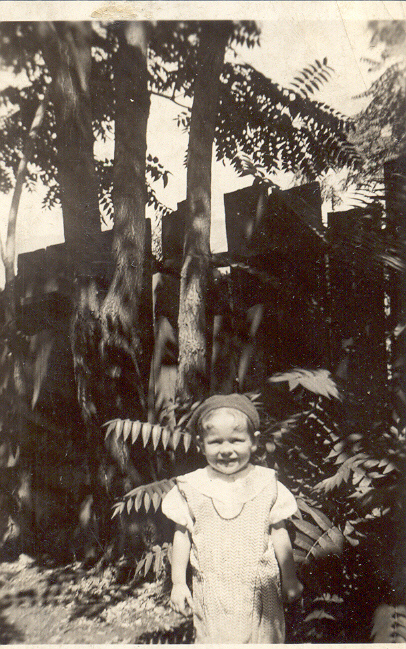 She was preceded in death by her parents and brother Donald Oram. A viewing for family and friends will be held on Friday, November 21, 2014 from 6 to 8 p.m. at Myers Ogden Mortuary, 845 Washington Blvd and Saturday from 9 to 10 a.m. at the mortuary. Graveside services will be held at 11 a.m. on Saturday, November 22, 2014 at the Honeyville Cemetery, 6900 North 2500 West. We would like to thank the Lotus Park Assisted Living personnel and Intermountain Homecare (especially Vickie, Launi and Misty) for their excellent care of Betty. We are very grateful for the assistance of Betty’s ward family during her last few weeks. That is her obituary as found in the newspaper with two additions by me (in parenthesis). I thought I would add a couple more side notes. 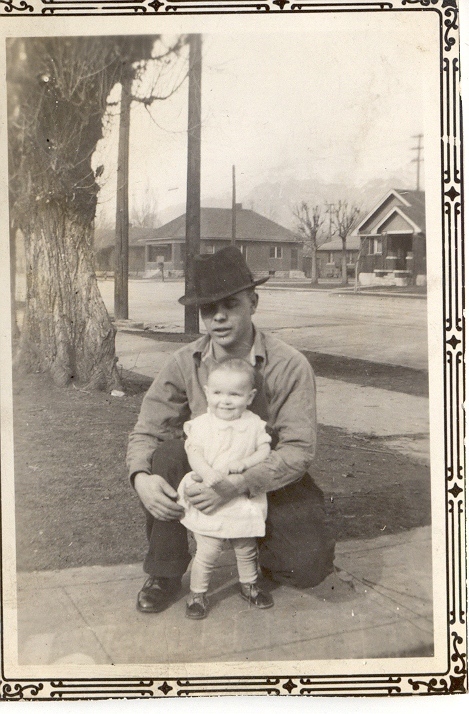 I have mentioned Betty and Dave in the history for Dave’s parents found at this link. I am not sure the reasons, but it sounds like Betty was pretty much raised by her grandparents, Jedediah Mill Grant and Annie Kaziah Bowcutt. Interestingly, Annie’s brother, Lorenzo, married my great grandmother Lillian Coley Jonas years after my great grandfather had passed away. Betty had some interesting stories about Ren as he was known. 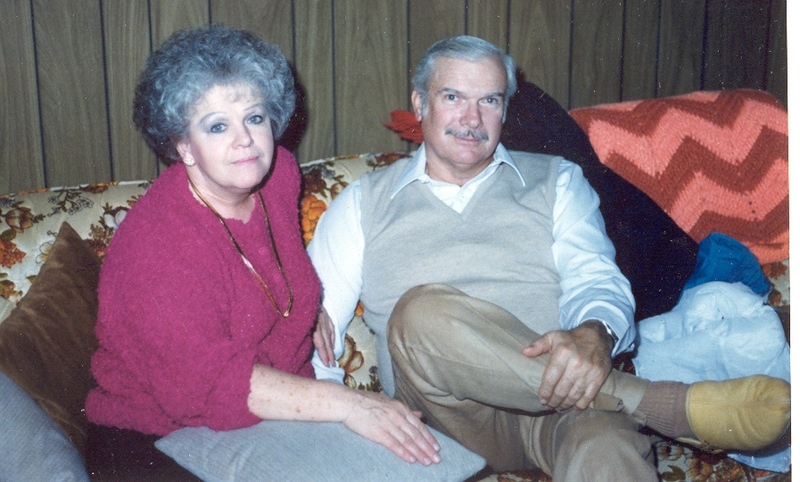 You can see pictures of Ren and his obituary at the link for Lillian. She adored her Grandmother Annie Bowcutt Grant. As I mentioned, I did not think to ask why, but she never told me much about her parents. But she told me loads about her grandparents. She even gave me a number of photos to scan of them, which I will likely post next week. I liked to go and visit Aunt Betty. Since she lived next to Grandpa and Grandma it was easy and convenient to go. Sometimes though after spending a few hours with Grandpa and Grandma I wanted to get on the road but Grandpa would send me to Betty’s with something to give her and Dave (when he was still alive). Grandma would even walk over with me sometimes. I have just added nearly 70 more pictures to the newest album. It is the 2008 album and has been appropriately named. As we continue through the year, I will do like I did with the Virginia Living album and put the most recent photos at the front. The pictures all come from our most recent trip to Washington, D.C. and Philadelphia. There are photographs from the U.S. Capitol, Washington Cathedral, Independence Hall, Congress Hall, Carpenter’s Hall, and other sites in Philadelphia. Amanda and I drove up Thursday evening to Kensington, Maryland and stayed with my Uncle Donald and Aunt Lolane Andra. We worked in the Washington D.C. Temple Friday morning and then went to visit the Capitol and Cathedral. Saturday morning we arose early and drove to Philadelphia by way of Delaware and New Jersey. Philadelphia for the most part was a beautiful day. It was a bit brisk at moments but they were not long lasting. We were fortunate to not have any long lines for us to wait. We entered most of the buildings very quickly and in some instances had the building almost to ourselves. It was a great little get away weekend. This coming weekend we are headed off to Williamsburg. What will be in store for us there? A few more updates for those faithful souls who still check up on me. We just returned from a weekend in Newport News. That is on the other side of Jamestown and Williamsburg from us. We did not make a stop to those historic places, but hope someday in the future. Amanda and I went out to go to church with a friend from her class. She is a Southern Baptist and agreed to go to church with us if we would go to church with her. So it was a deal. We made the trek out to Newport News and spend Saturday night. It was good to visit her home and get to know her in her own environment. It was a little weird for me being the extra on hand, but I did okay. Today we went to church with her. Sunday School was about spiritual maturity. Which I really liked, but it was like an hour on only three verses, and the guy was becoming a little redundant. He did comment next weeks lesson was on Melchezidek and I sure did want to be there for that one. The Bible is very lean on its teachings of that good man, and would like to see what type of whistling in the dark they would do there. But we will not be around for that. The main meeting was good, it was about greed. The church made it very evident they are not meeting their budget financially. But the talk was still very good coming from Luke 12. Afterward, we made our way to the Denbigh ward of the Newport News Stake. It is one of those 80’s buildings that are a bit darker with some strange designs inside. Oh well. We sat down and waited for Sacrament to start. It was fast and testimony meeting, one of those meetings you came to dread and love as a missionary. I wondered which one it was. Well, it was one in which you had to spend considerable time with the investigator insisting we let anyone get up. There were some powerful testimonies, and then there was the senile old lady. One never knows what the Lord can do with adversity. If he really wants Amanda’s friend, Jen, to come around to seeing the light, he is going to have to overcome the attending of the Denbigh Ward Sacrament Meeting. Sunday School went pretty well. It was from Isaiah and the teacher did a good job. How prepared she was I do not know as she just seemed to go through the lesson without much insight. Even the parallels which were to be drawn, or the segue between scriptures was not present. But, I have to admit, the spirit was present and that is what is most important. Sacrament we just squeamed for some of the talks. Saying all that, there was a Brother Saxton who spoke directly to Jen. Hopefully that makes all the difference. I had a good relaxing time in Priesthood just reading the manual in class on Redeeming the Dead from Brother Wilford. I hear that Relief Society was about the need for Living Prophets, which seems perfect for the situation and the students. Perhaps it will have the needed influence. Miss Jen took all types of notes in Sunday School. I hope these things bring up questions for her that she will realize typical Christianity cannot answer. Afterward eating dinner, she asked what happens when we die. It was hard to tell someone who does not believe in angels, who does not believe in a Spirit World, and who believes you go directly the presence of God (What is the point of a body and resurrection if we can go directly to God?) Anyhow, I enjoyed the Baptist Church. Not sure I liked the worship service, the music definitely caters to emotion. But I liked Sunday School, except for my short squatty chair that made my bottom hurt. We came home and Amanda and I chatted. Jen was asking what we considered election. Amanda started explaining our definition of being born again when I realized we needed to chat about that some. So all the way home we discussed the doctrine of election, calling and election made sure, the more sure word of prophesy, and more of those eternal, deep, mysteries of the kingdom. It was a good chat. I think she realized there was a whole other side to the gospel she had not even considered. When we got home and we talked about the General Assembly and Church of the Firstborn, I think she about fell off her chair. She insisted nobody knows about these things. I told her as far as I knew, most missionaries did. I think she was surprised when I showed her a few of the many scriptures that talk about these things. Even a few in the old testament seem so vague, but taken in this light are very enlightening. Anyhow, it was a good Sabbath Day. If nothing else, we have come to appreciate another religion a little more. They are good people. We also came to realize all is not well in Zion and every ward has things they can work on. I thought I might share a little bit from Friday night. Amanda and I went to a company party at the Holiday Inn down Staples Mill from us. We went in and the first person I ran into was Neil who was very happy to see me. He started boasting about how wonderful I was doing and what great things I was going to do. I think he sensed I had lost some of my zeal for the company. He asked if everything was okay. I told him pretty clearly I did not think it was all coming up roses. He was definitely shocked by my blow to him. The meal was more hors oeuvres (whatever) and they gave us two tickets for drinks. The bartender thought we were a bit weird in asking for orange juice and a sprite. Oh well. The music was loud, a guy who was selling me Quixtar besides us, and people trying to get us to dance. I visited with Nicole, a girl I graduated sales school with in Raleigh. She is in the same boat I am in right now as well. I heard that she is doing really well from Neil. Well, things were not as peachy coming from her. I am glad I am not the only one who struggles here. Andy is gone. Monica is gone. David is gone. Larry is gone. I am one of the last few. I was actually surprised Nicole made it this far. I went to do my check in with Ted and I caught him and Neil talking in the hall about me. They asked for my concerns and I unloaded them. Then Neil started to tell me I just needed to take responsibility. Somehow I thought working in the field for two months was a certain taking of responsibility. Especially where I have done so without training. But now it was my responsibility to do more? Oh well. I did my check in and Marc gave me my route for the upcoming week. He was oblivious to the discussions and concerns I had shared with Ted and Neil. Who knows what tomorrow morning shall bring for me? Will they try and train me on everything in the morning? Will Marc be upset with me because I did not tell him? (I honestly tried, but he just ignores me and goes on talking about whatever he wants me to do) Will I end up walking out without starting the day. I don’t know. We will just have to see what comes out tomorrow. Time for me to say good night. I think I may send out another resume or two before I crash tonight.